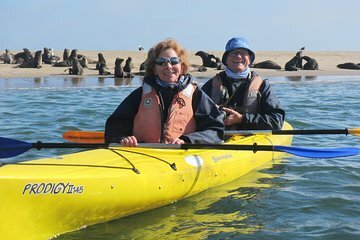 A day full of adventure doesn’t lack luxury with this guided kayaking and 4x4 tour from Walvis Bay. Travel with a guide to a beautiful kayaking destination at Pelican Point Peninsula, and then head into the Namib Desert for the opportunity to explore the stunning desert landscape. A lunch of sparkling wine and oysters is the perfect pick-me-up after an action-packed day.